Update 21 April, 2016: Ubisoft have released a hotfix to fix the game-breaking exploit. During downtime today, Ubisoft installed a hotfix for The Division’s Competent glitch, an exploit that allowed players to stack massive damage bonuses and gain infinite money. An exploit that allowed players to revive twice by holding the key has also been fixed. It seems like the glitches caused a spike in traffic which also led to server instability over the last few days, too. This has also been addressed. 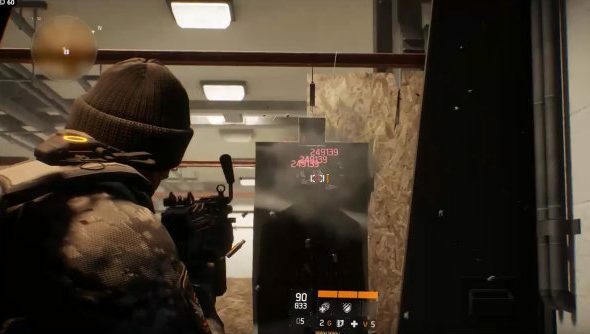 Original Story 20 April, 2016: Players have discovered a new glitch in The Division that completely breaks the game, particularly the PvP Dark Zone area, letting anyone use an exploit to rig their weapons to do ridiculous damage numbers. It might be a good idea to play some of the titles in our picks of PC’s best RPGs while you’re waiting for a patch. The exploit is built around the fact that some talents in The Division stack with themselves if you swap between two weapons with the same talent. Doing this with the Competent talent gives you a damage boost which stacks with each swap, allowing you to boost your damage output with any compatible weapon. So if you’ve been wandering through the Dark Zone lately and you’ve been dropped by a single bullet, this is probably why. Players have also discovered that this same trick works with kneepads that grant credits for each headshot. Switch between two bits of gear rapidly and you can stack this bonus too, allowing you to score millions of credits for a few fleeting seconds of the pink mist. I suppose Ubisoft are planning to punish players for this one, too, since they already said they would be punishing Falcon Lost operatives who were taking advantage of another bug.